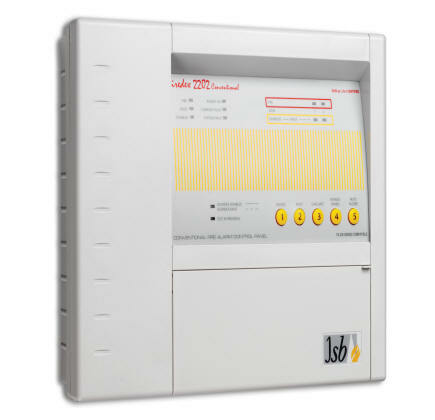 Fire Alarm Systems fall broadly in to two groups - Conventional Systems or Analogue Addressable Systems. Analogue Addressable Fire Alarm Systems differ from conventional systems in a number of ways and certainly add more flexibility, intelligence, speed of identification and scope of control. For this reason Analogue Addressable Fire Alarm Systems are the natural choice for Commercial premises and more complex system requirements. In an analogue addressable system detectors are wired in a loop around the building with each detector having its own unique 'address'. The fire alarm system may contain one or more loops depending upon the size of the system and design requirements. The Fire Control Panel 'communicates' with each detector individually and receives a status report e.g. Healthy, In Alarm or In Fault etc. As each detector has an individual 'address' the fire alarm control panel is able to display/indicate the precise location of the device in question, which obviously helps speed the location of an incident.